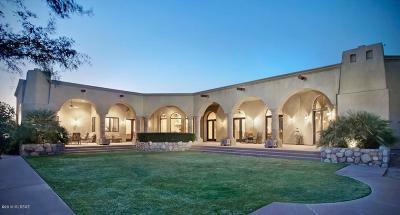 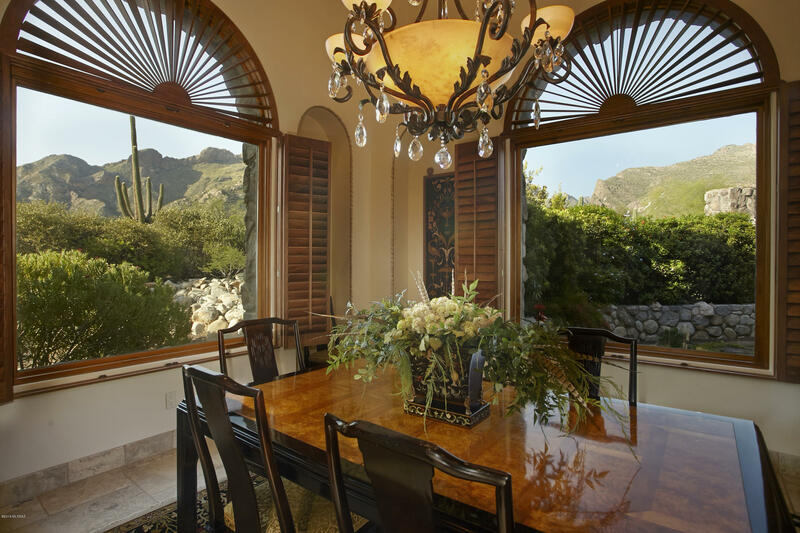 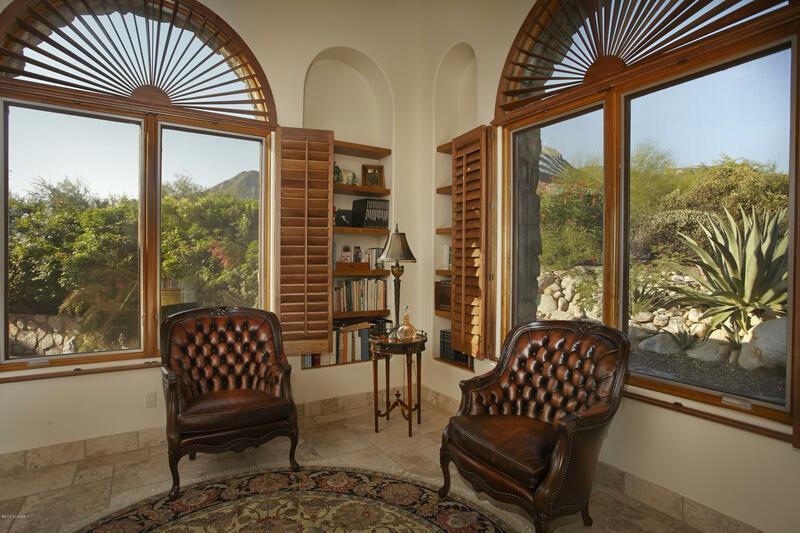 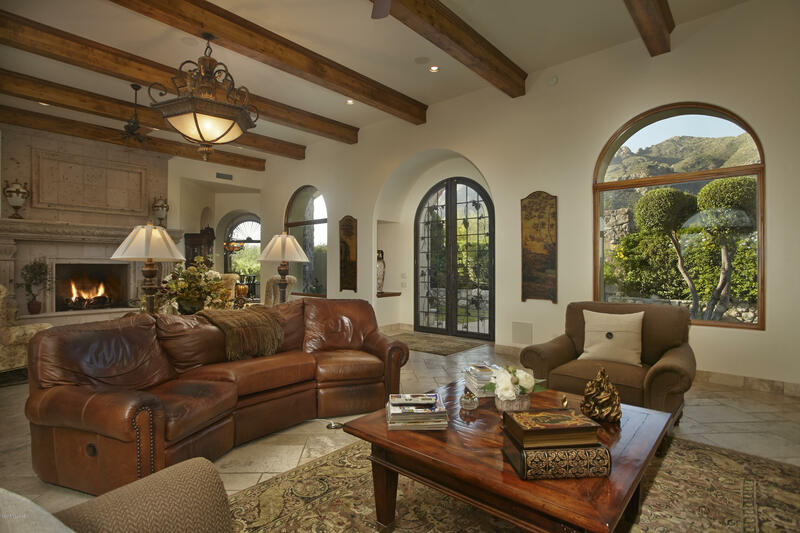 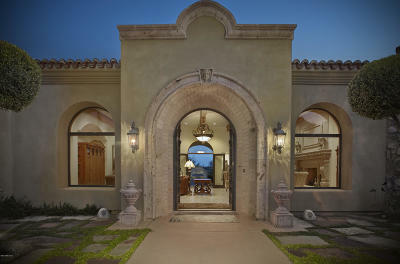 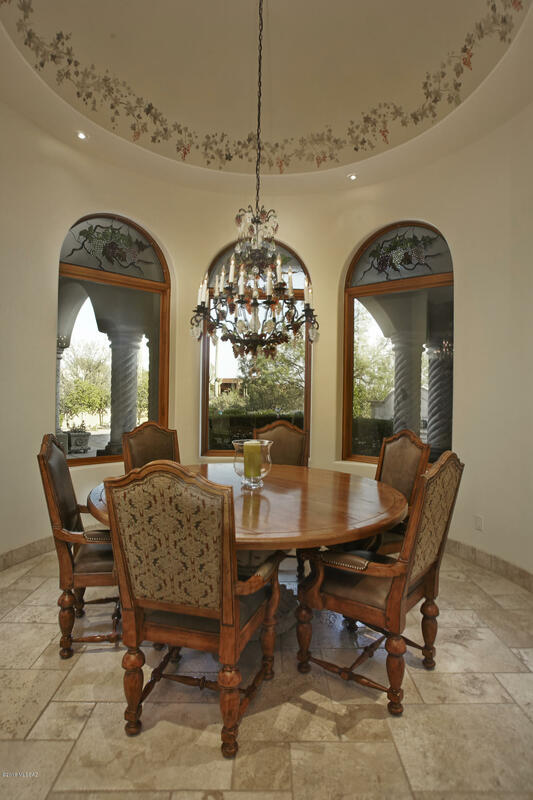 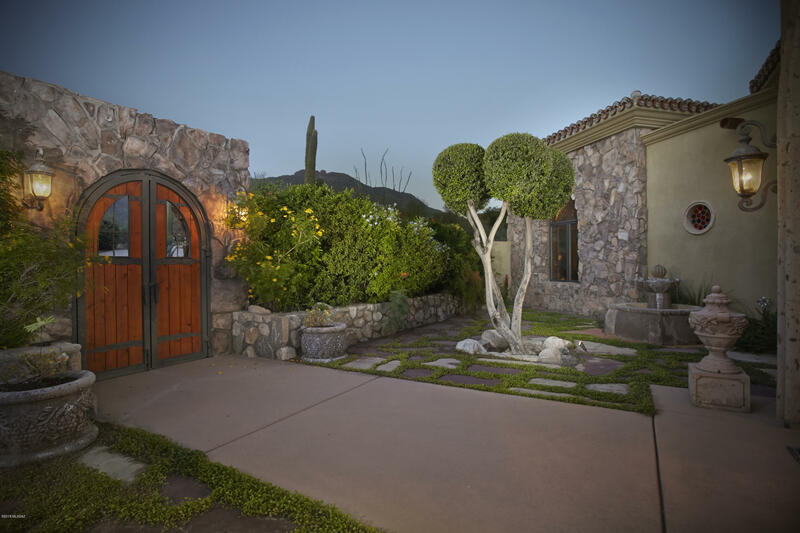 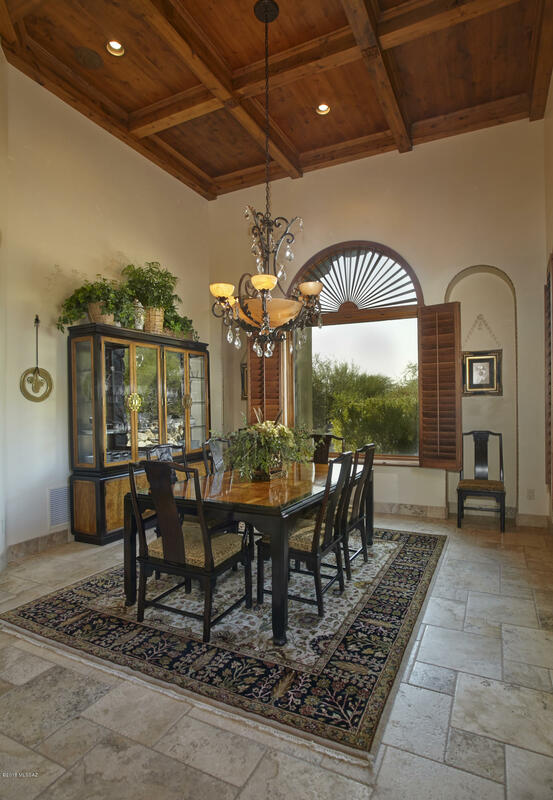 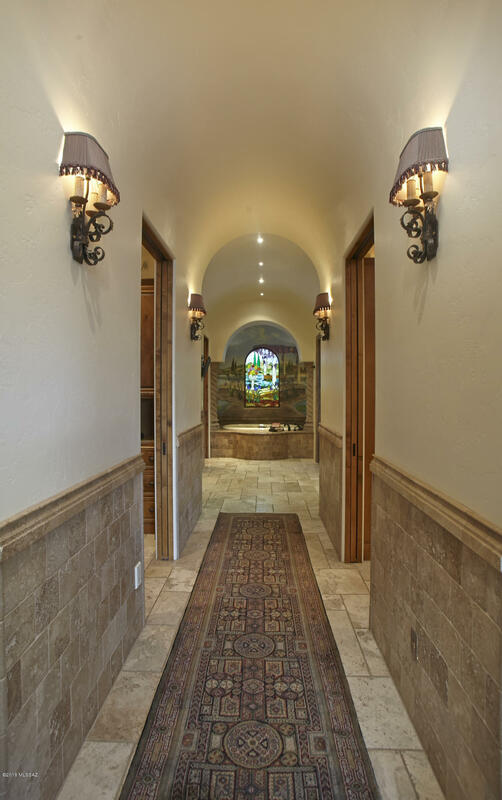 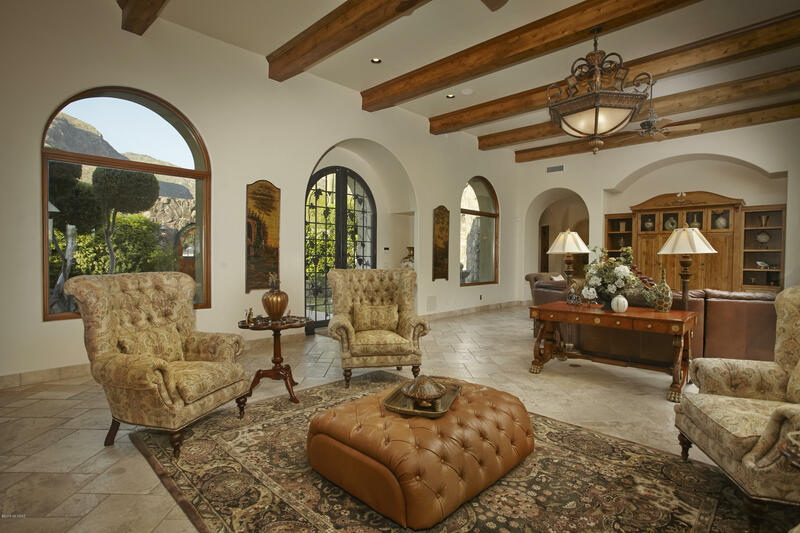 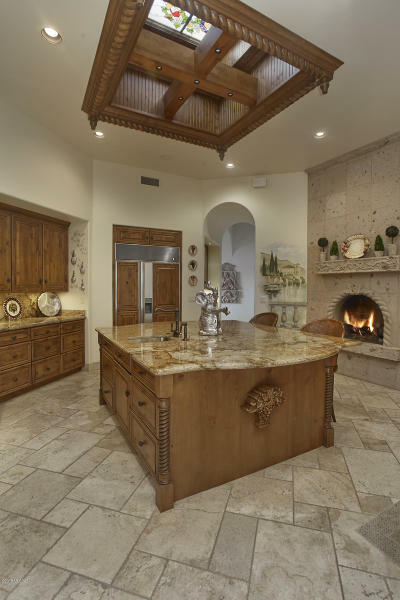 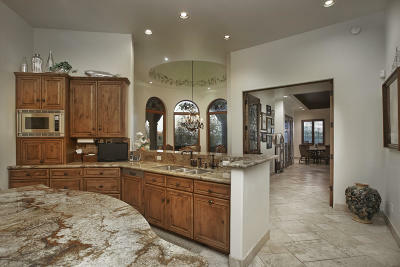 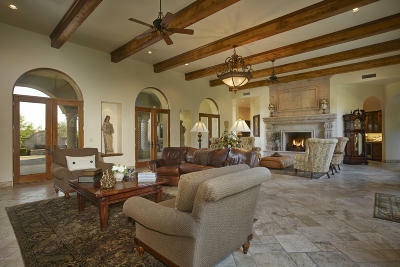 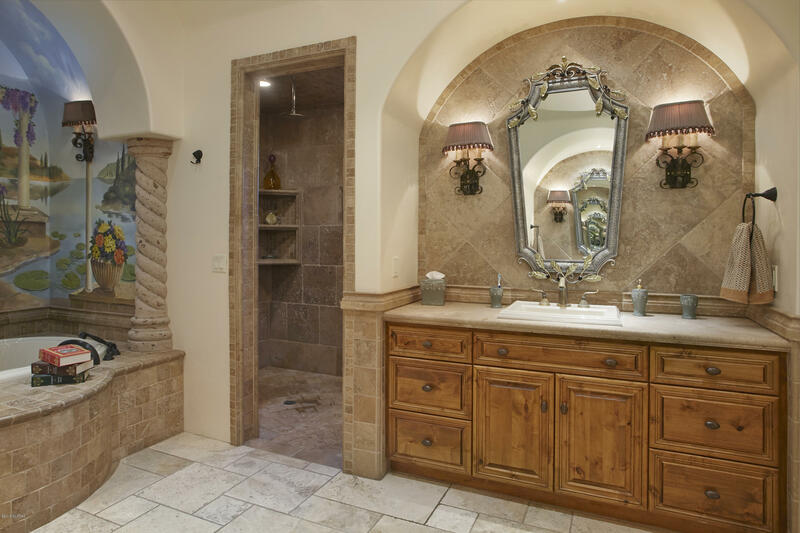 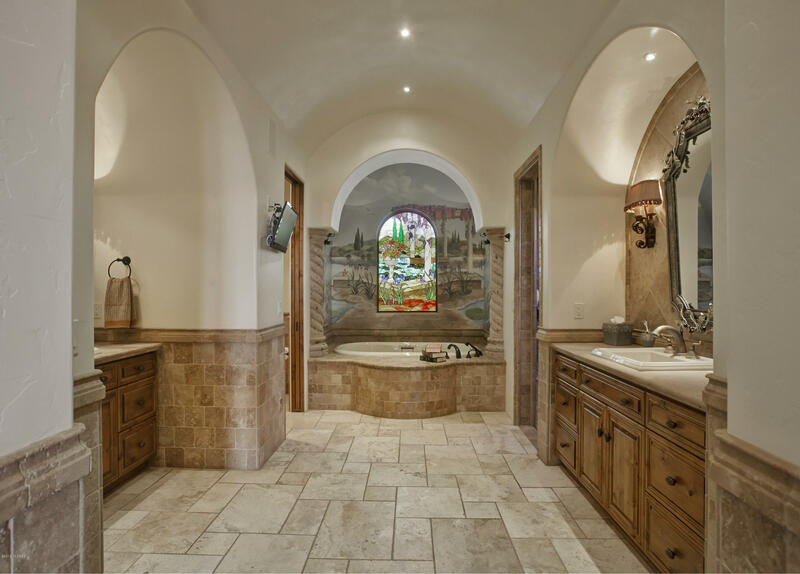 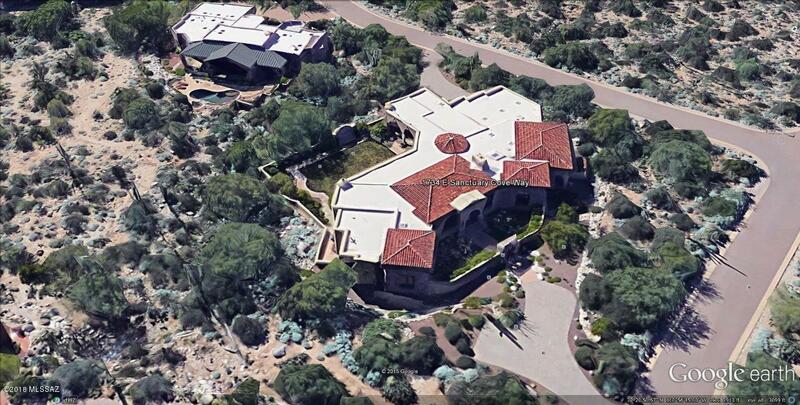 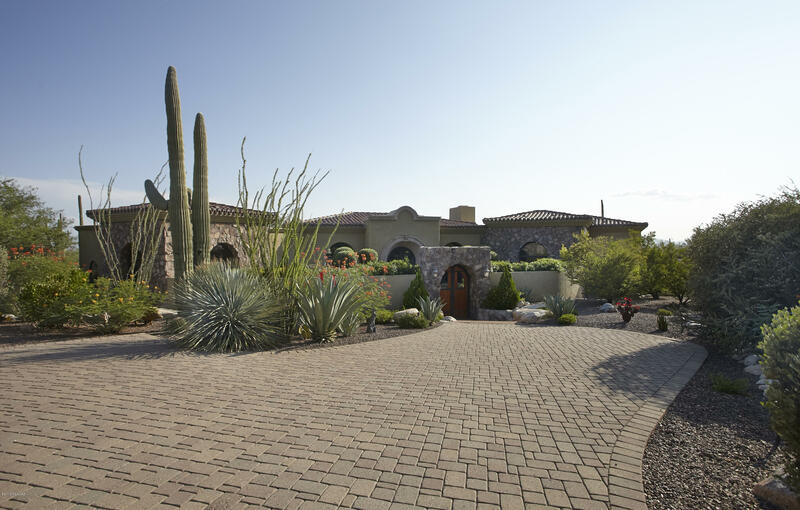 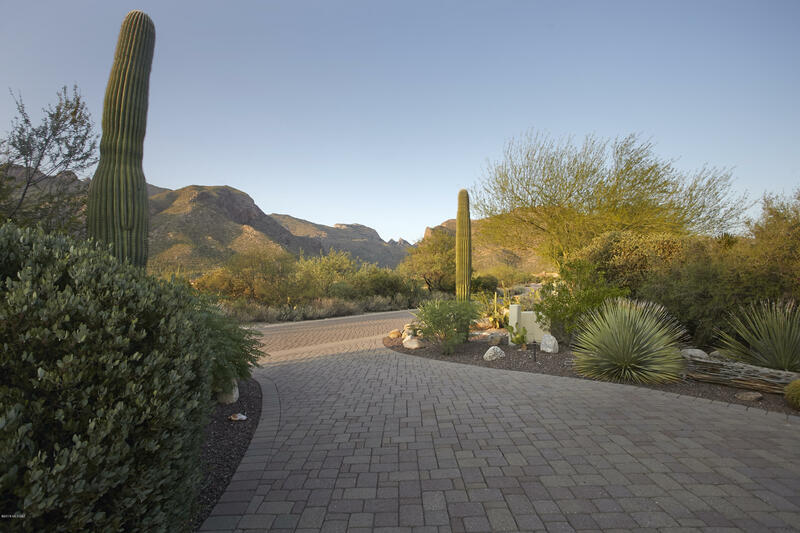 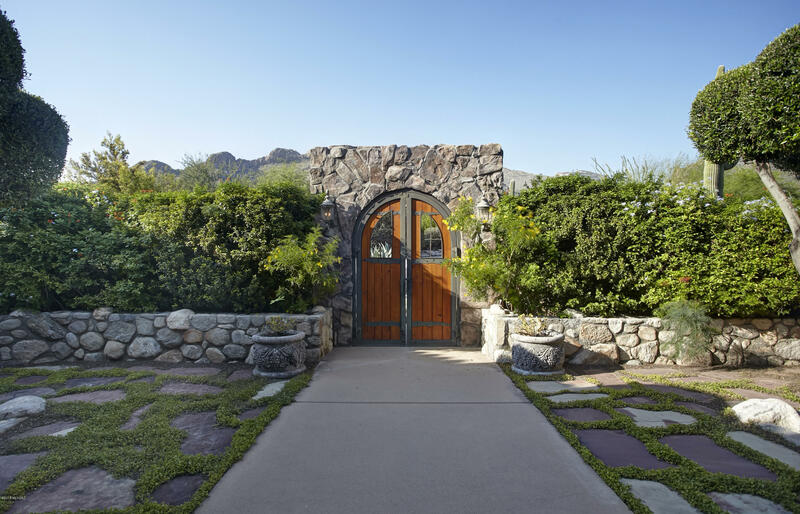 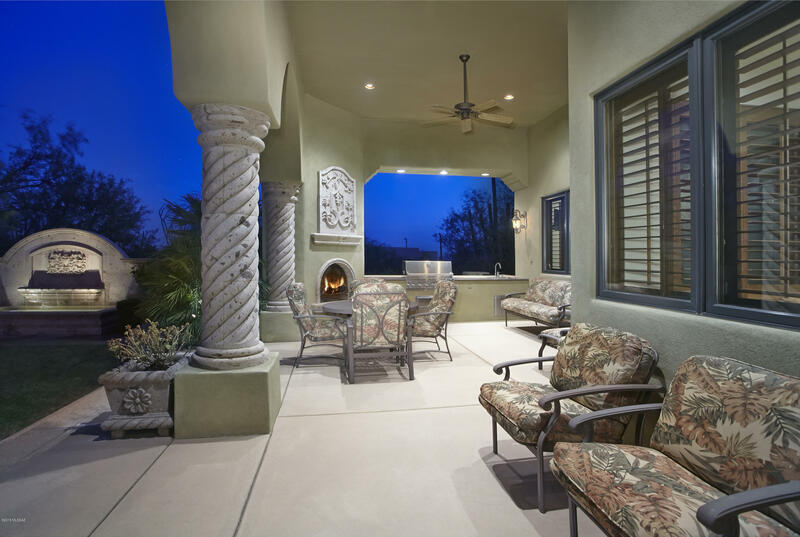 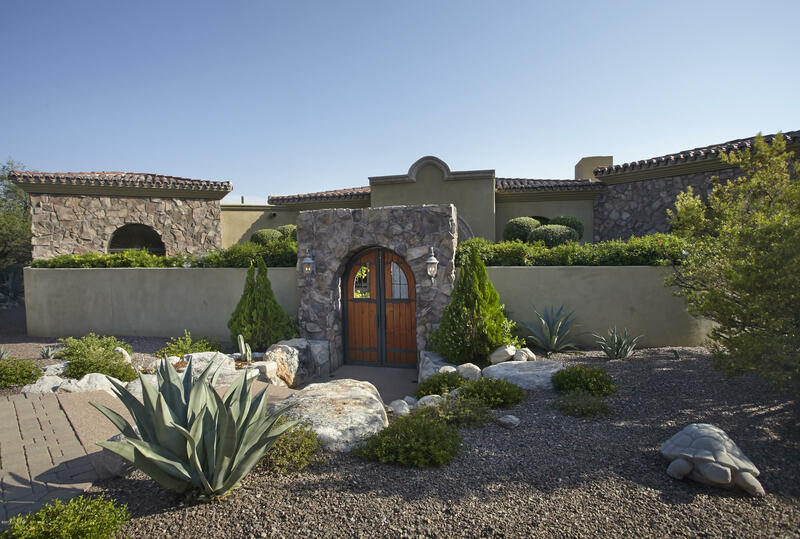 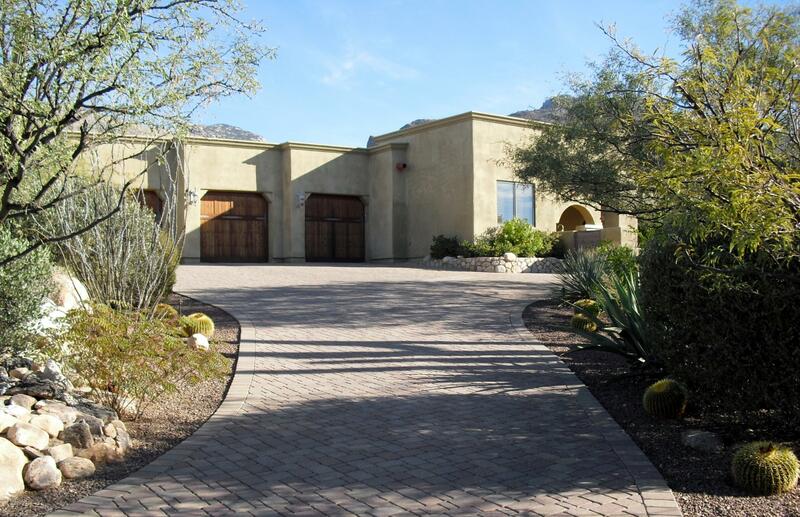 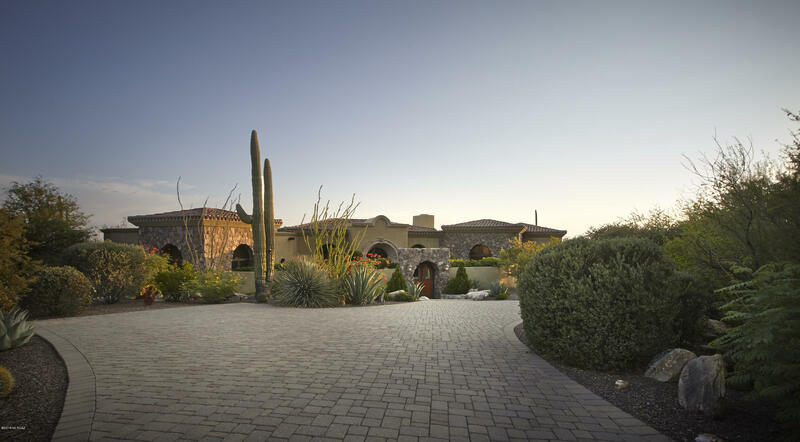 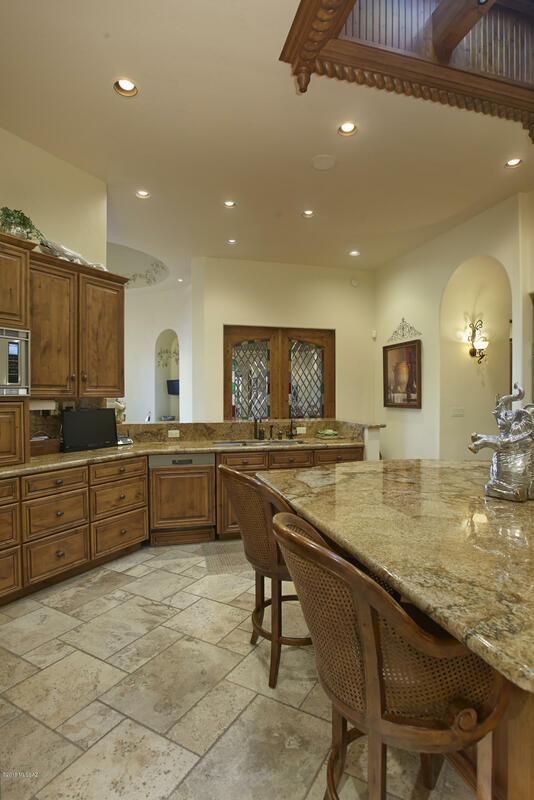 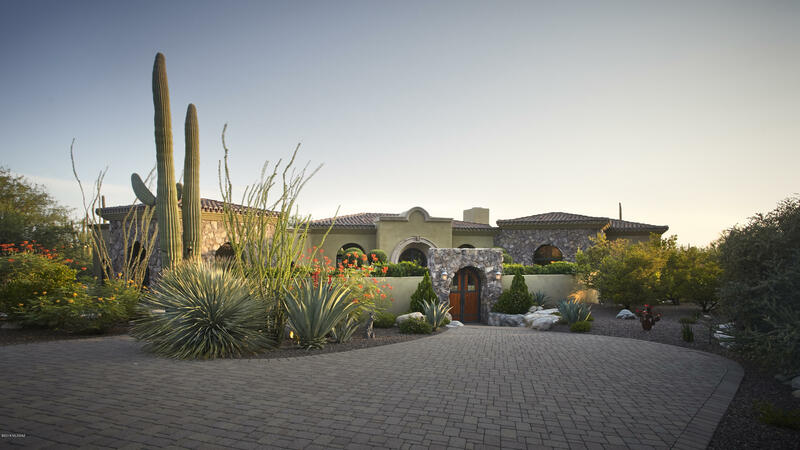 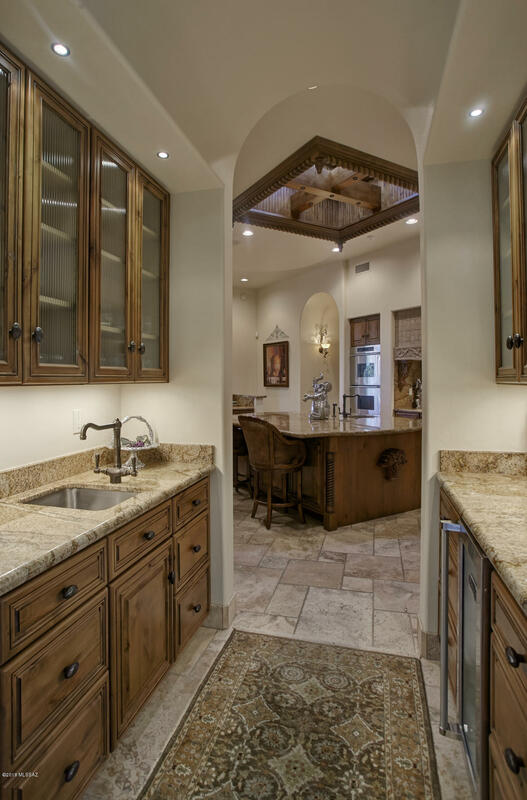 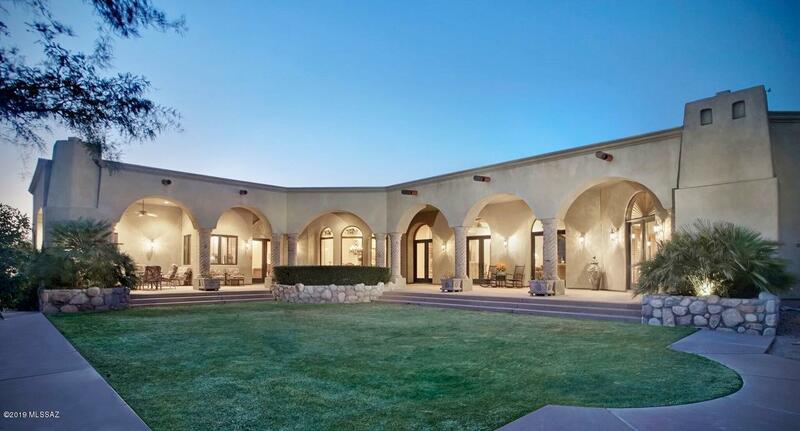 Transport yourself to Italy by this exquisite Tuscan Villa in Tucson's prestigious Pima Canyon. From the gated courtyard to the 1000 sq.ft. 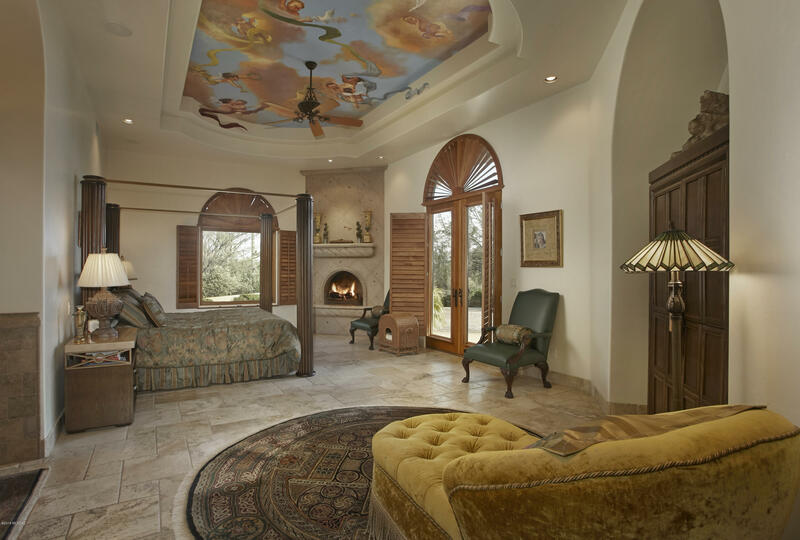 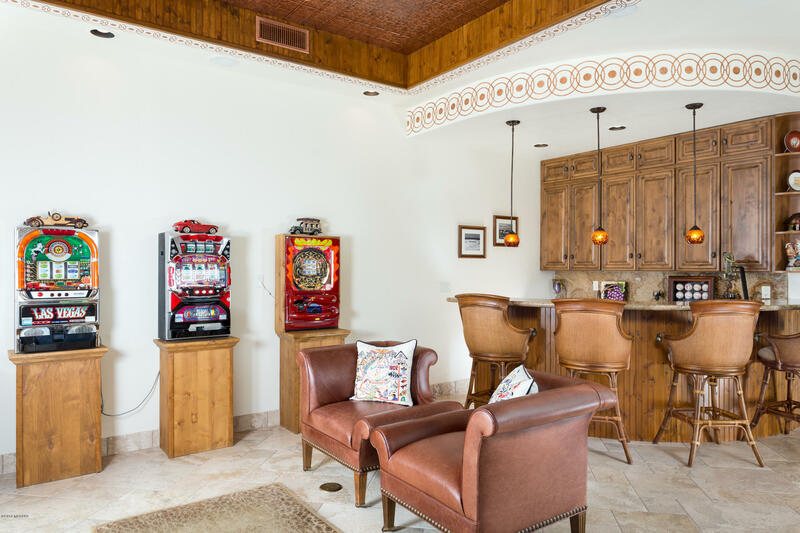 great room w/ floor to ceiling hand carved cantera fireplace & soaring beamed ceilings, hand painted murals and stained glass, no detail was overlooked in creating this gracious masterpiece. 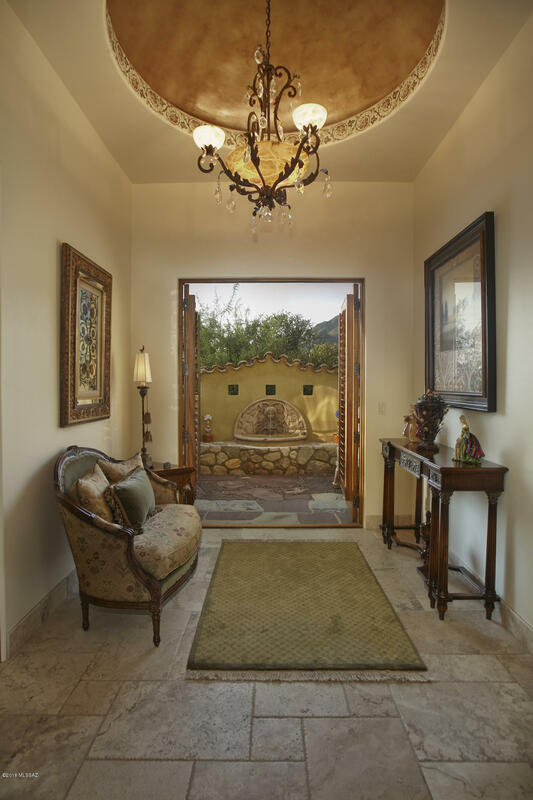 Built by Doug Mills, this home must be seen to fully appreciate the quality and artful design. The 1.2 acre corner lot offers privacy and outstanding mountain views. 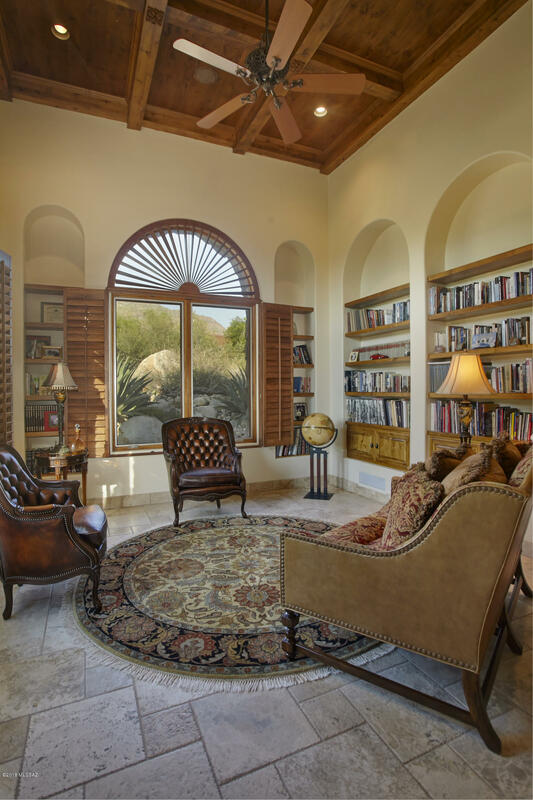 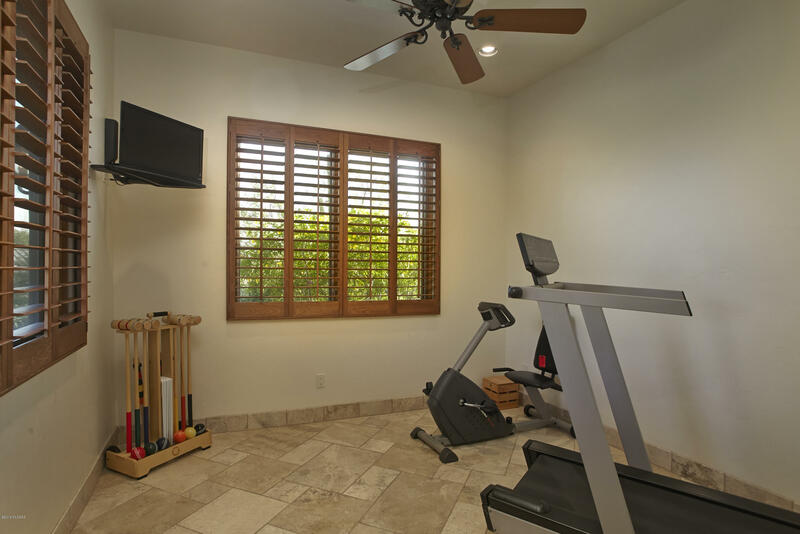 The floor plan boasts a gracious master wing w/cantera fireplace and nearby library w/custom bookcases. 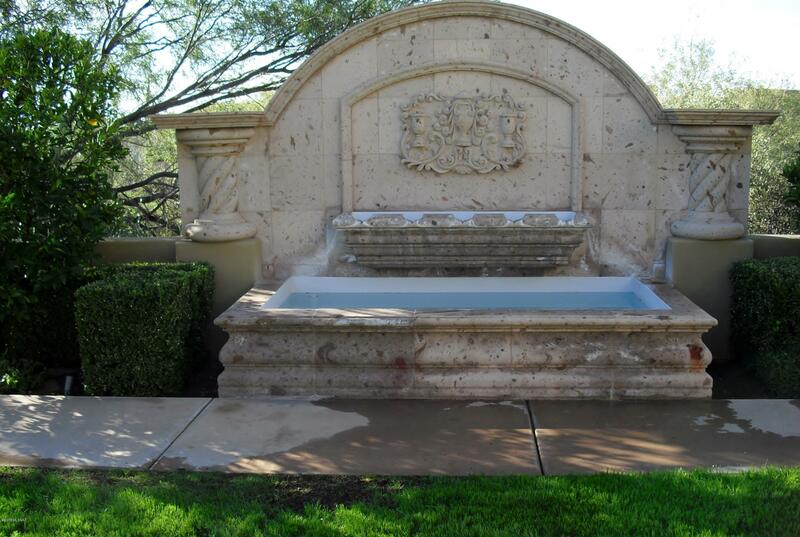 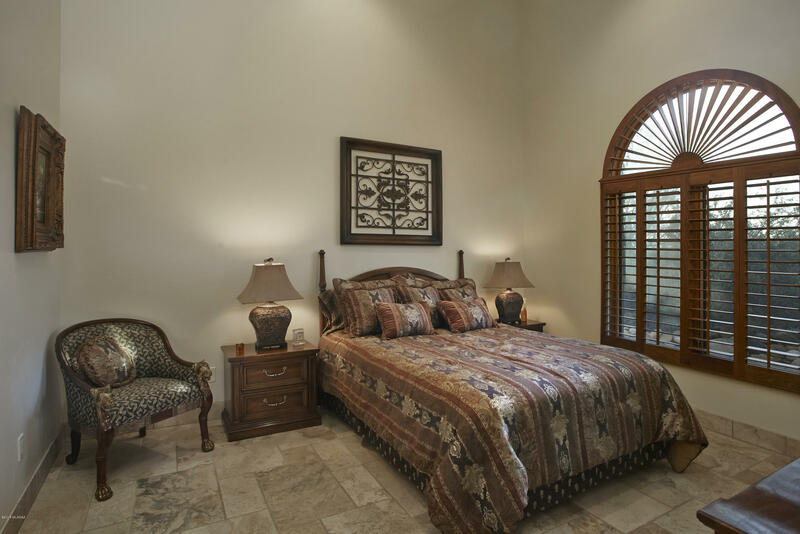 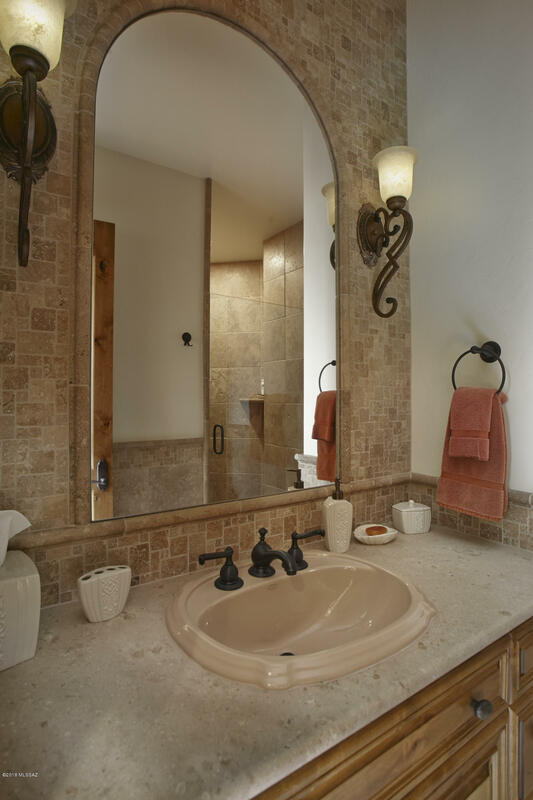 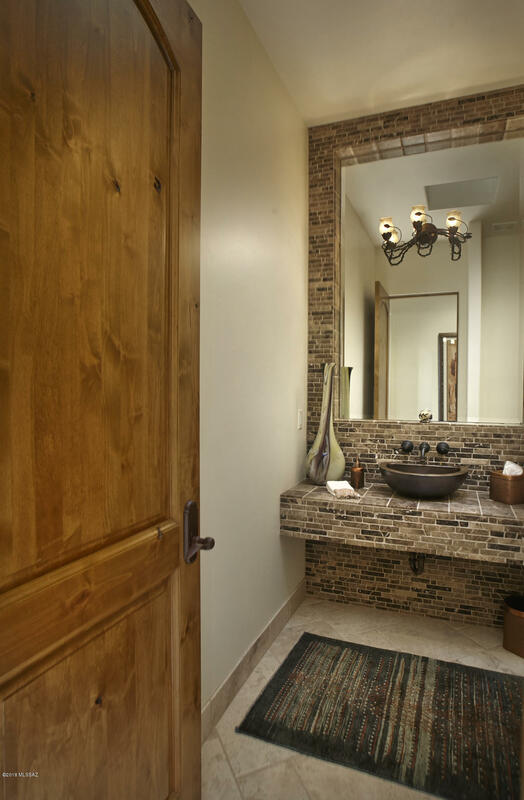 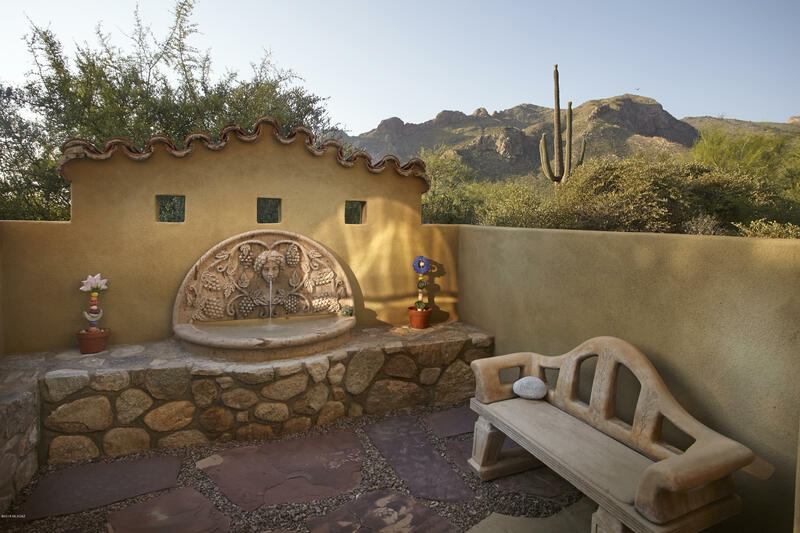 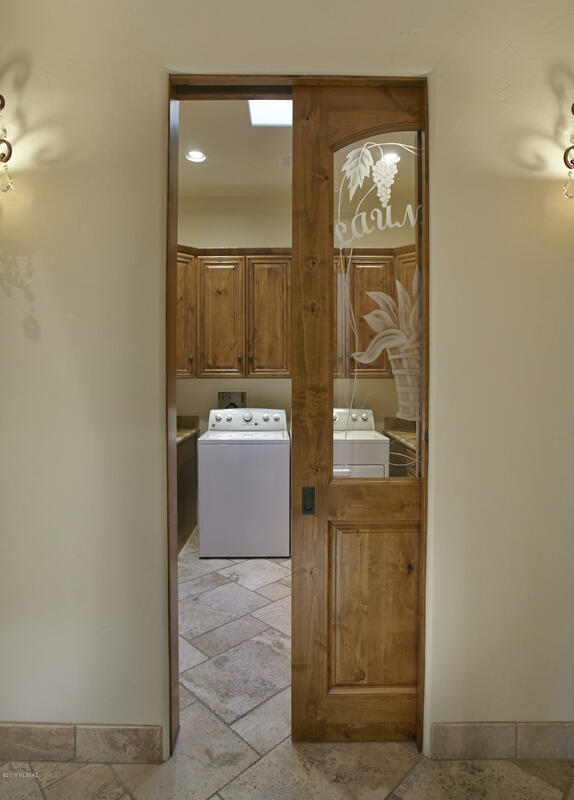 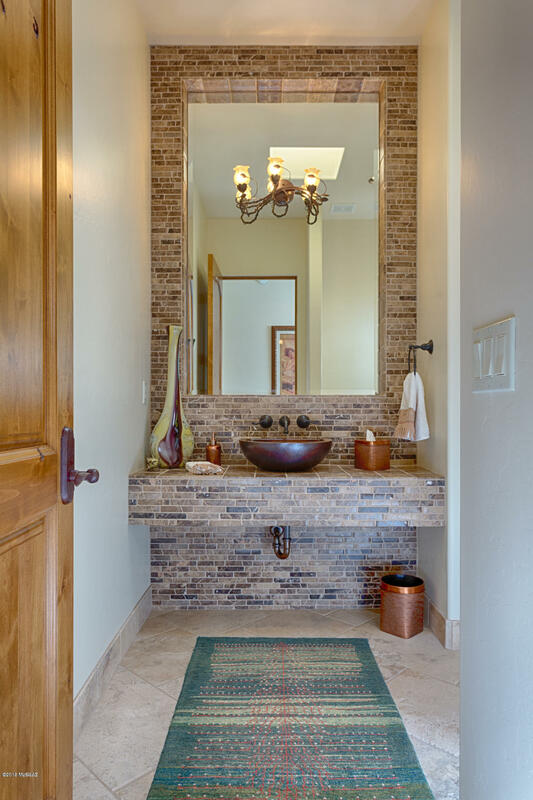 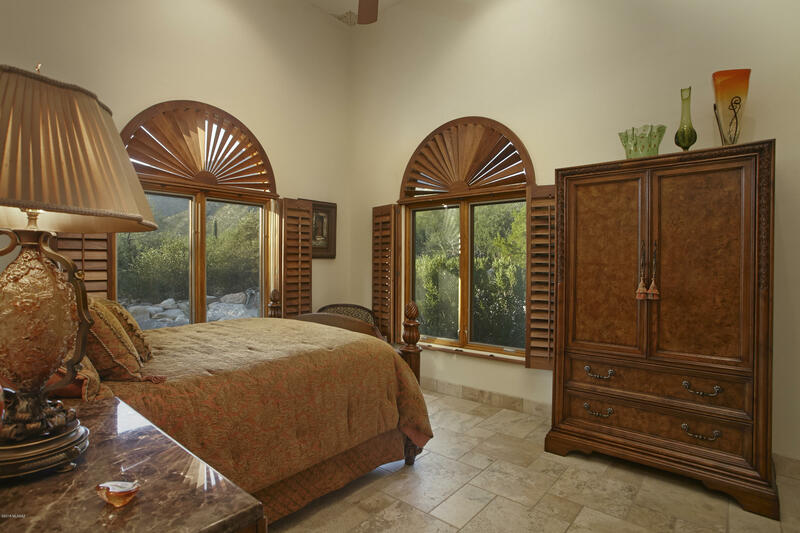 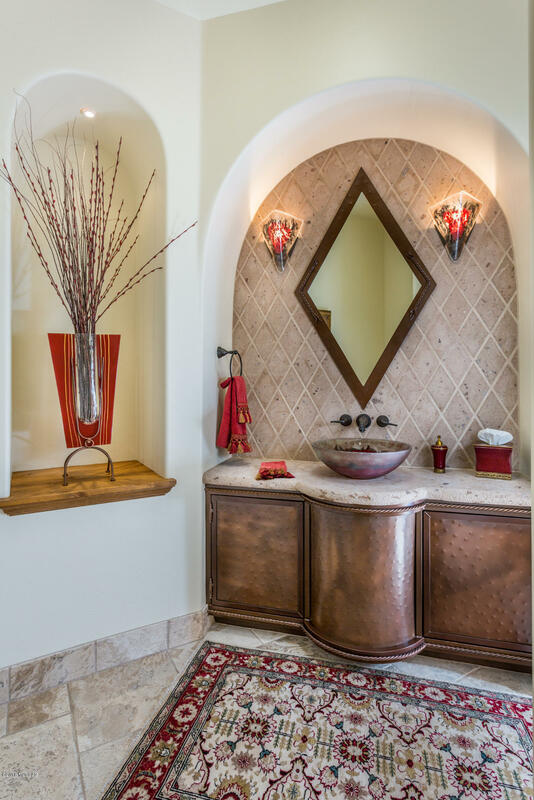 The guest rooms have ensuite baths & a private courtyard with a cantera fountain. 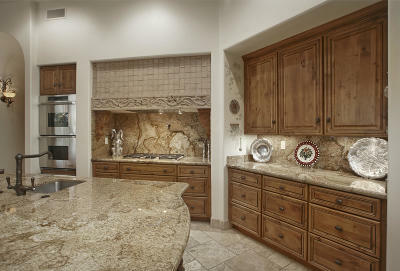 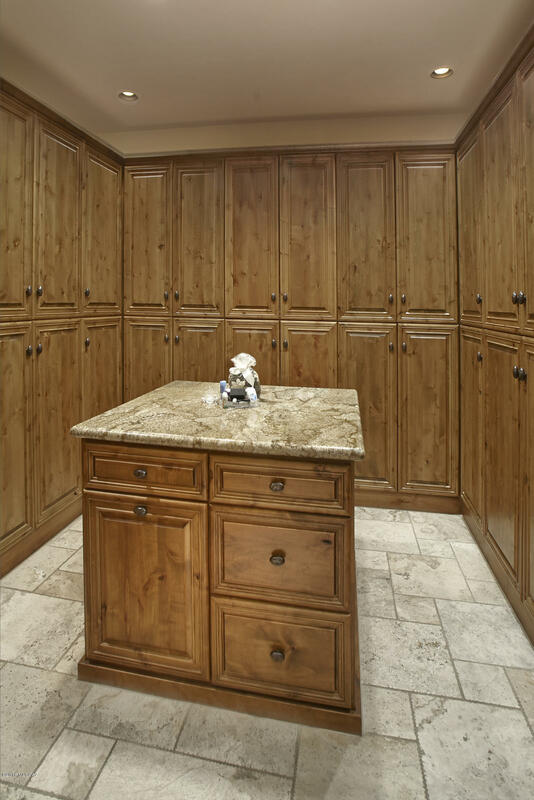 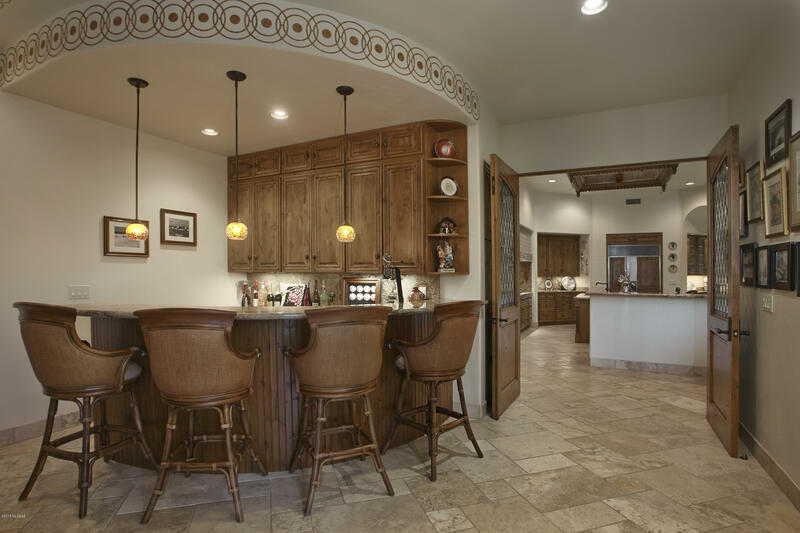 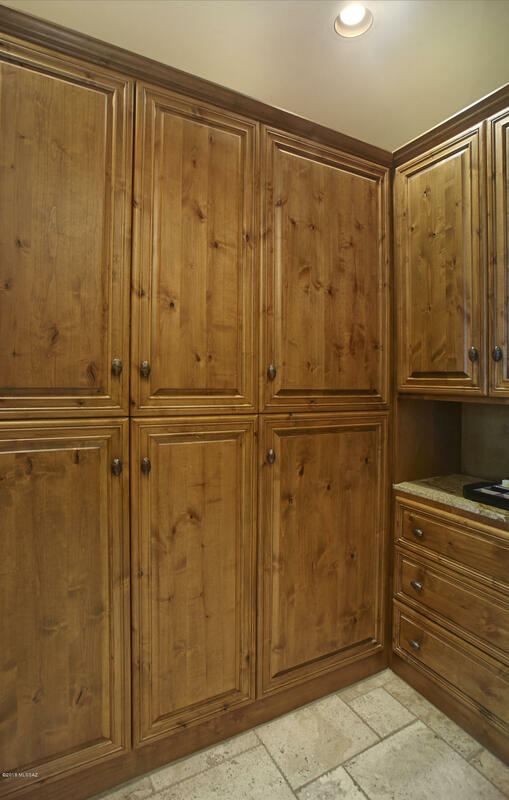 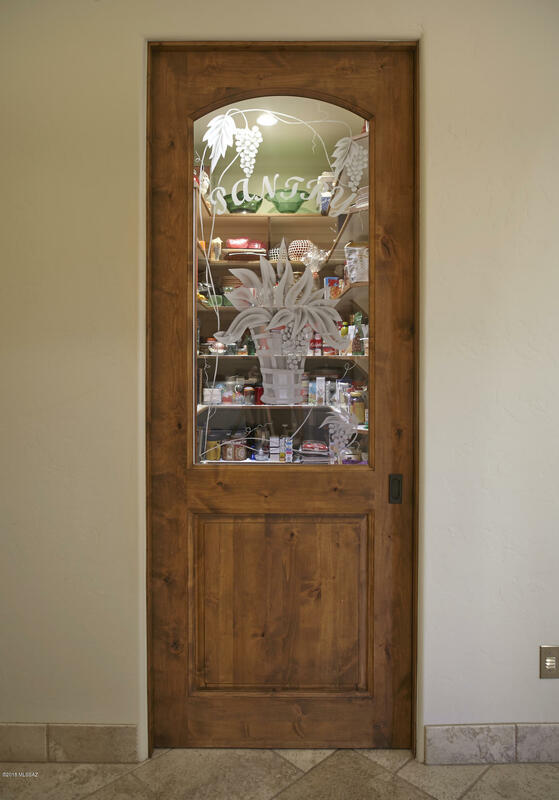 The gourmet kitchen w/slab granite center island, walk-in pantry would delight the most discerning chef.